Different companies offer different types of CNC machining services based on customer demand and expertise. However, these services all focus on the manufacturing or fabrication of parts used for a wide range of industries. In addition, machines are designed to work on the same materials to include aluminum, alloy steels, carbon steel, iron, stainless steel, brass, bronze alloys, plastic, and more. Machines used as part of CNC machining services are computer numerical controlled to ensure the outcome is extremely precise. These machines are also highly efficient and because they perform tasks automatically, they help with production and cost reduction. Not only is this a savings to the company offering the services but to customers as well. Industries have unique CNC machining services based on the part being fabricated. As an example, for companies that produce products, the machines create greater flexibility throughout the manufacturing process. 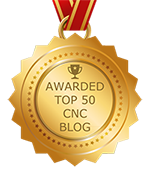 With CNC machining, designs can be analyzed and tested prior to actual development. As a result, experts can determine if the parts are correct or need some level of modification. This cuts down significantly on wasted production. For companies that control a product’s full lifecycle, CNC machining services are also beneficial. Known as “work piece” companies, they are hired by vendors to produce a single part for one particular product. Without the assistance of CNC machining there are challenges of companies meeting the fast turnaround or constant changes demanded by vendors. Another huge benefit of CNC machining services is for companies that produce tools. For these businesses, the primary key to achieving success is by being diverse. Because of this, tooling companies offer a wide range of products and components to include molds, cutting tools, dies, and more. Therefore, they need the ability to change equipment quickly, which is one thing that CNC machining offers. Companies that produce prototypes also depend heavily on CNC machining services. These businesses have the responsibility of performing preliminary work by designing, developing, and manufacturing prototypes. Whenever needed, they also make any necessary adjustments. With CNC machining, testing multiple prototypes becomes easier and quicker to deliver. Keep in mind that these are just a few examples of industries that rely on machining.